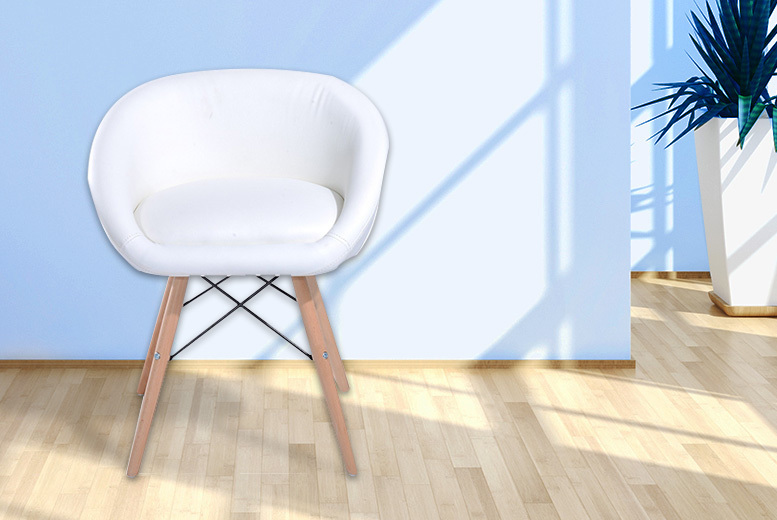 Get a trendy new chair for your lounge, dining room, or office. In an elegant curved ‘bucket’ design. The cushion is padded with soft sponge for extra comfort. With strong and sturdy solid wooden legs. And easy-to-clean PU leather material. Measures 52cm x 45.5cm x 64cm.